DDR (dance dance revolution) was made in 1999 and changed the way that users play games with the use of new controls. DDR was a game where users had to follow arrows on a screen and match them by pressing on the correct arrow. This was done with the use sensors that tracked what button was being pressed on. DDR was a popular game in Japan until it became more competitive and came over to western audiences. The popular aspect of this game and controller scheme was that it relied on fast reaction and to some sense a form of physical finance to stay in time. This was not seen from games of the time. It saw the owner of the game Konami double their net income. This was mostly down to the simplicity of the controls and the fact that the game was safe for all audiences. Later into the 2000s racing games started to be popular this was due to the use of racing wheels that gave the user a level of realism that was not seen before with the use of basic joystick controls. Wangan Midnight MAXIMUM TUNE 5 was one of the games that included this type of control. As well as this some system included a gear stick and foot pedals. This was an early simulation experience. The invention of the joystick was in 1910 in England. However, it was only used in games from the early 70s with notable games like space race. This allowed the player to used two joysticks with one to make the character go left and right and a second to make the character go up and down. This was revolutionary at the time as before player where only restricted to one axis of movement. This allowed a more enjoyable experience with more user freedom. This was later improved in the 80s when Pac man came out. This combined the two joysticks into one creating an easier player experience. This could be done with the improvement of circuits so the game easily knew what direction the joystick was. Pong is considered the first arcade game, it was released in 1972. Pong is a simple 2D tennis game, it was published and developed by Atari. Space invaders was played from a table top arcade machine which required you to enter a certain amount of money before you could play. The original space invaders is a single player game. You play as a yellow circle, there are 255 levels, there would be more but a bug makes it impossible to progress any further. You were unable to go over 999,990 points, if you were to go that score the game will only keep the final 6 digits of the score. Nowadays there are many online games which users are able to play on their PCs either by themselves or even with their friends.. There are now online gaming shops where users are able to buy online games, where they are able to play with other users or even their friends. Steam: Steam is a digital distribution platform developed by Valve Corporation, which offers digital rights management, multiplayer gaming, video streaming and social networking services, which was released on 12 September 2003. G2A : global digital marketplace which specializes in gaming products. It is headquartered in Hong Kong, but has offices in various countries including Poland, the Netherlands and China which was founded back 2010. World Of World craft:World of Warcraft is a massively multiplayer online role-playing game released in 2004. World of Warcraft was is the third best selling PC game, selling 14 million copies. League of Legends:League of Legends is a multiplayer online battle arena video game developed and published by Riot Games, which was released back in 27th October 2009. 32.5 million copies of League of Legend have been downloaded. Counter-Strike Global Offensive:Counter-Strike: Global Offensive is a multiplayer first-person shooter video game developed by Hidden Path Entertainment and Valve Corporation, which was released on 21 August 2012. CS-GO sold 25 million copies each one costing £11.99 which equates to £300,000,000. Overwatch: Overwatch is a team-based multiplayer online first-person shooter video game developed and published by Blizzard Entertainment. It was released in May 2016 for Windows, PlayStation 4, and Xbox One which was released on 24 May 2016. The 1980s was an exciting and scary time for early gamers as they experienced the rapid development of computer game technology as well as going through the crash of their industry and then its subsequent revival. 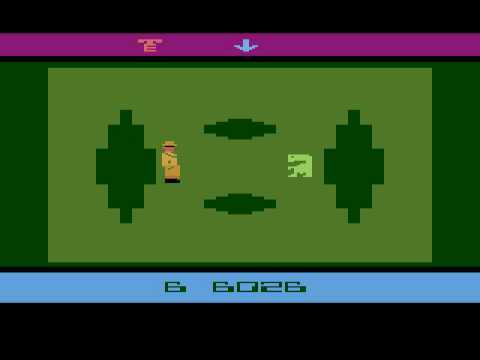 In the late 70s and early 80s the gaming industry was dominated by Atari and their “Video computer system” (later renamed to the Atari 2600). This was one of the first computer game consoles that was popular at home, it could play major hits such as Pac-man, Space invaders, Frogger and pitfall. But the good times where not to last as in 1983 the game industry suffered a catastrophic crash which would cut home consoles sales by 97%. There are a number of factors which caused this crash; the game industry had grown too large, to quickly to sustain itself as more and more developers released more and more rushed games. This influx of low quality game saturated the market and with a sever lack of quality control consumers felt ripped off and didn’t want to spend money on poorly made games. A perfect example of this was E.T. The Extra Terrestrial, it was crammed into a 5 week development and production cycle so that they could have a Christmas release. Around 5 million cartridges were produced for consumers who didn’t really want them game. so Atari had to throw away huge stocks of cartridges into the Mojave Desert. There was one country which did not seem to be suffering from any negative effects from the crash in the game market, Japan. The Nintendo favicon was a huge success in japan but had trouble getting overseas because of the hysteria surrounding games consoles. 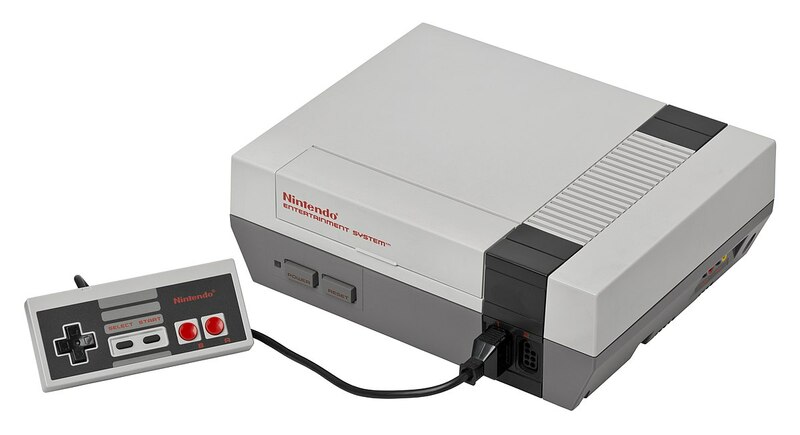 One solution was to change the name to hide the fact that it was a game console, so it was called The Nintendo entertainment system. The crash of consoles also games the PC market a chance to take the reins of the game industry as the launched aggressive advertisement campaigns to downplay the use of gaming consoles and promote the educational benefits of a PC. The 1990s were a decade of marked innovation in video gaming. It was a decade of transition from sprite-based graphics to full-fledged 3D graphics and it gave rise to several genres of video games including, but not limited to, the first person shooter, real-time strategy, survival horror, and MMO. Handheld gaming began to become more popular throughout the decade, thanks in part to the release of the Game Boy. Arcade games, although still relatively popular in the early 1990s, begin a decline as home consoles become more common. The release of Street Fighter 2 in 1991 is often considered as a revolutionary moment in the fighting game genre. It was considered revolutionary as it allowed players to safely execute multi button special moves, which had previously required luck in order to get right. Moreover, the game was revolutionary in the graphics department as it took advantage of Capcom’s CPS arcade chip, which allowed it to have highly detailed characters and stages. Furthermore, whilst the previous games only allowed players to play against the computer, Street Fighter 2 allowed players to play against each other. In 2000 the PlayStation 2 come out which introduced the first console that had two analog stick for all of their regular controllers and was Sony’s second console and used DVDs for its game. The PlayStation 2 also had backwards compatibility with the playstation. In 2001 the Sega dreamcast was discontinued due to poor sales and Sega announced that they would stop making consoles and became a third party developer. Also during 2001 the GameCube was released which was Nintendo’s fourth console and used mini DVDs for its games. In 2002 Xbox was released which was Microsoft first attempt at games console which was made to compete with PlayStation 2 and the Nintendo GameCube. The Xbox used DVDs for their games and they were the first console to have internet services called Xbox live that was successful. In 2004 Sony introduces the PlayStation 2 Slimline which was a cheaper and smaller version of the PlayStation 2. In 2004 the Nintendo DS was introduced which was a handle console and it had two screens with one of them being a touch screen and had backwards compatibility with the GBA. In 2004 World of Warcraft(WoW) was released which is the world biggest MMO(massively mulitplayer online game) for the PC and has 10 million subscribers. In 2005 the Xbox 360 was introduced which was the first console to have widespread implementation of HD graphics in their games. In 2006 the Nintendo Wii was introduced which was the first console to have motion controls which allowed the user use their whole body to play and had backwards compatibility with the GameCube. In 2006 the sequel to the PlayStation 2 was released called the PlayStation 3 which had an internet service called PlayStation Network. 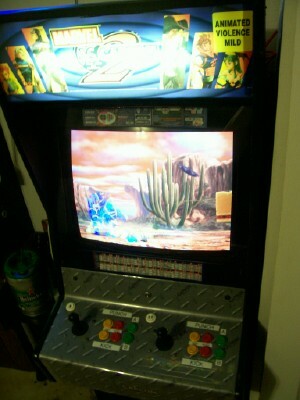 Many arcade machines were fighting games such Marvel vs Capcom 2 which would then get a console release at later date. 2010s is the current decade of video gaming which was dominated by seventh generation consoles, such as Xbox 360, the PlayStation 3 and Wii. Each console brought ground breaking technologies. Xbox 360 rendered HD resolutions and PlayStation implemented Blu-ray player into their console. Nintendo focused on mobility and interaction. Handheld gaming in the eighth generation was dominated primarily by the Nintendo 3DS and the PlayStation Vita. The Nintendo 3DS is a handheld video game console, released in Japan February 2011, where they presented autostereoscopic 3D to produce a glasses-free interface for 3D. The 2D PlayStation Vita was released in December 2012 in Japan. It has a 5-inch OLED multi touch front screen and a rear touch pad, two analog sticks, 3G and WiFi connection, Sixaxis control and 3-axis electronic compass. Nintendo announced their next generation console, unveiling of the Wii U at E3 2011, the successor to the Wii. The Wii U was released in North America, Europe, Australia and New Zealand in November 2012 and in Japan the following month.